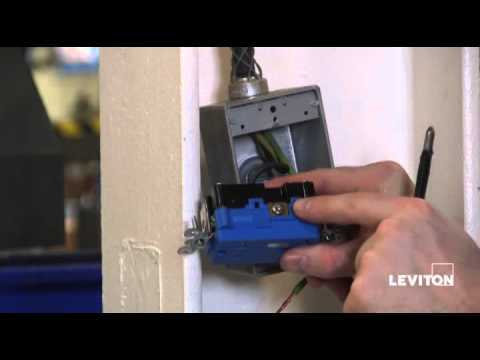 Leviton Decora Plus™ Surge protective duplex receptacle outlet diverts the damaging voltage transients or surges away from electronic equipment. It has brass triple-wipe contacts. The tamper-resistant receptacle comes in light almond color, has polycarbonate body and nylon face construction for high strength. The NEMA 5-15R rated receptacle has back- or side-wired terminals and is compatible with 14 to 10-AWG wire. It provides point-of-use protection of a total surge current for up to 18000-Amps. This 2-Pole, 3-Wire receptacle with 2000-Volt dielectric strength, has a voltage rating of 125-Volts, current rating of 15-Amps, short circuit rating of 5-Kilo-Amps, nominal discharge current rating of 3-Kilo-Amps, joule rating of 720 J and a maximum surge current of 27-Kilo-Amps. It features a shutter mechanism to avoid incidental contact with energized contacts. 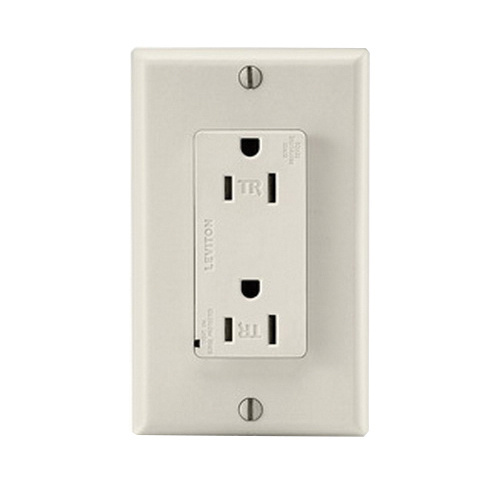 The surge protective duplex receptacle outlet meets UL 498, UL 1449 3rd Edition, CSA C22.2 Type 3, NOM: 057, NEMA: WD-6 and ANSI: C-73 standards.